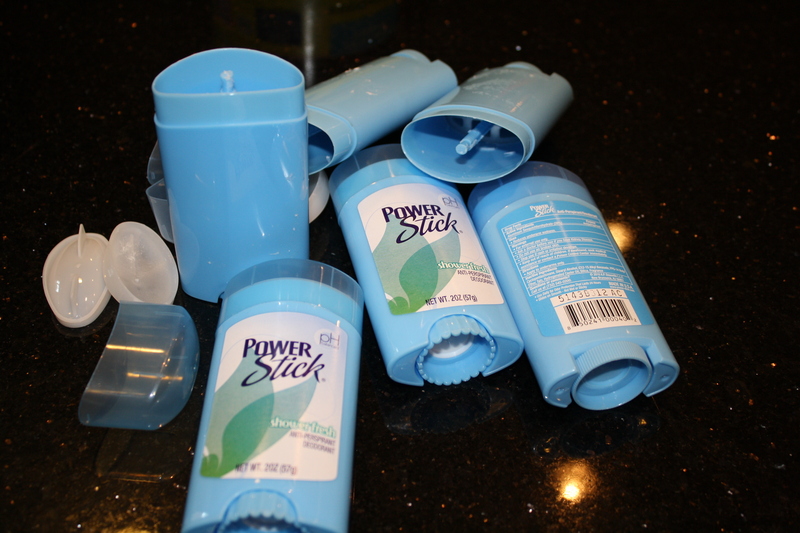 I don’t know why I got it into my head to try to make my own deodorant. It just seemed like a cool challenge, and if it worked, then I could do away with my Mennan Lady Speedstick and its aluminum and titanium dioxide contents. I found this recipe on the boards and it seemed like an interesting concept, especially with summer on, I figured it would be a good time to test the mettle of the concoction. I think I thought it would be a challenge, and it was, in more ways than one. This recipe can be adjusted to make any quantity that you’d like by increasing the amount of ingredients used. 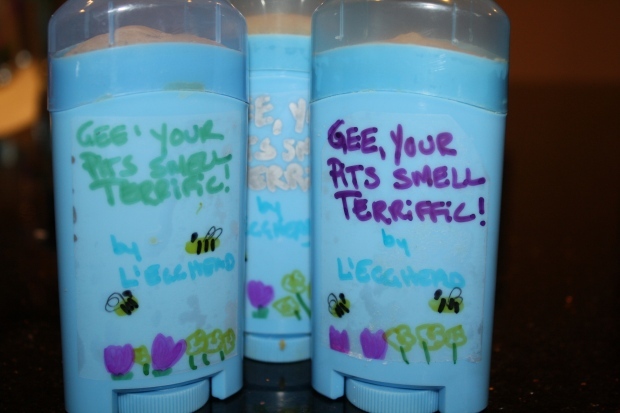 This batch made enough deodorant for my husband and I for about 2-3 months. You could also cut the recipe in half if you want to make a smaller amount. 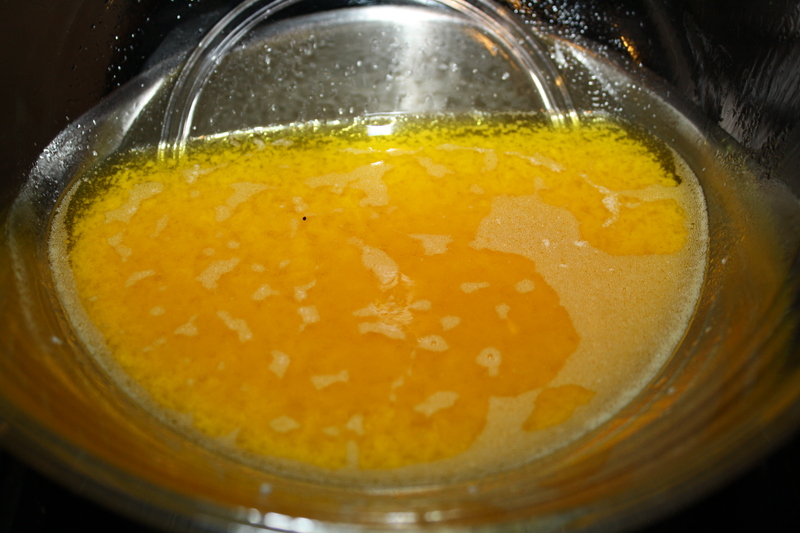 Combine coconut oil, shea (or other) butter, and beeswax in a double boiler, or a glass bowl over a smaller saucepan with 1 inch of water in it. So, I set about assembling the ingredients, which turned out to be almost as hard to find as horcruxes. 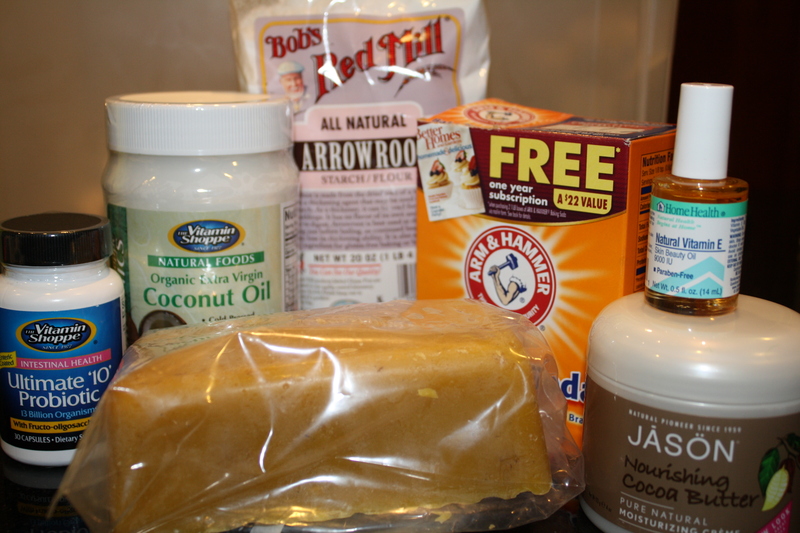 First I went to the local Vitamin store, where I found the vitamin E oil, probiotic capsules and coconut oil. Then I searched a few drug stores, but the only cocoa butter I could find contained additives. The beeswax was the real challenge. Nobody around had pure beeswax, and online the price, when you added in shipping, was too high to make the project viable. Finally, I remembered a little local family farm that has a sign outside advertising honey. I figured maybe they might have some beeswax byproduct, and sure enough, they did, along with arrowroot, and a whole lot of delicious, organically grown produce. This place was an excellent find, and we’ll be frequenting their little store often. I still needed cocoa butter, so, I decided to try Whole Foods, and they had it, along with an entire line of vegan and raw products, including a whole aisle of natural beauty products that were additive and cruelty free, not to mention ready-made. So, I hadn’t even started yet, and the project had already dug deeply into my pockets. My old Speedstick (at $4 a pop) was looking better and better (despite its aluminum and titanium oxide additives) as I tallied up my receipts. Plus, when I told Manfrengensen that I was going to make these, he joked that I had gone “over the edge”, and I couldn’t give much evidence to the contrary…yet. So I started to think that maybe I should sell a few on Etsy to help offset the cost, but, if I were to sell them, what kind of container would I use? I mean, who was going to buy deodorant that looks like it was made in a cupcake tin? So I went looking for containers. Michael’s didn’t have them, and neither did a local container store. Online they were pricey. Three containers for $5.75 on eBay, plus shipping. I found them cheaper, at $.91 each on an industrial container site, but they charged an additional $10 for small orders. Then, I was in the shower, which is where I think best, and it hit me: the dollar store. Buy it, empty it, wash it out, and voila. So then, I was all set. 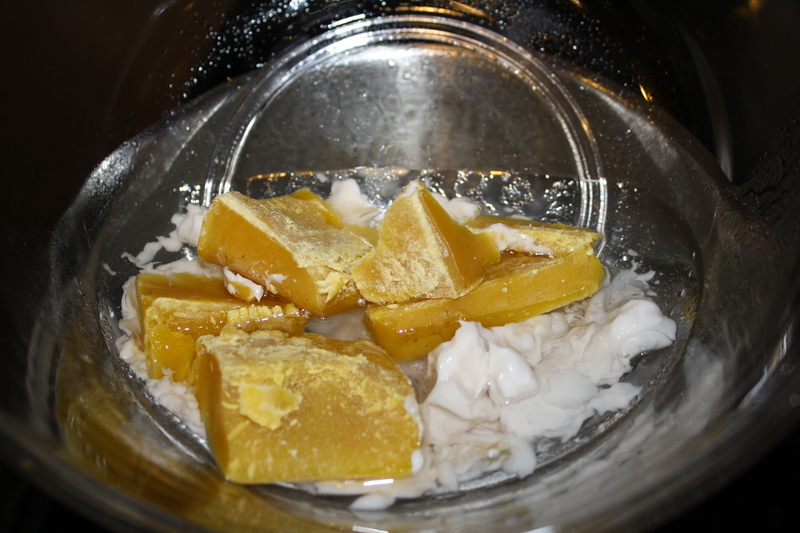 First I got my double boiler rigged and put in the coconut oil and cocoa butter while I started cutting up the block of beeswax. 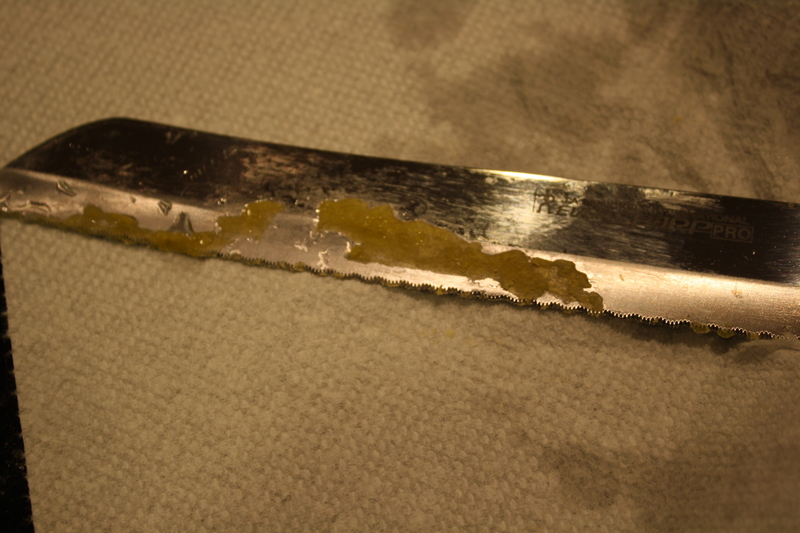 But here’s the thing: the beeswax really put up a fight. I tried microwaving it (at 30 second intervals, 3 times), which I think helped to soften it just enough to break off a bit to put in the concoction. 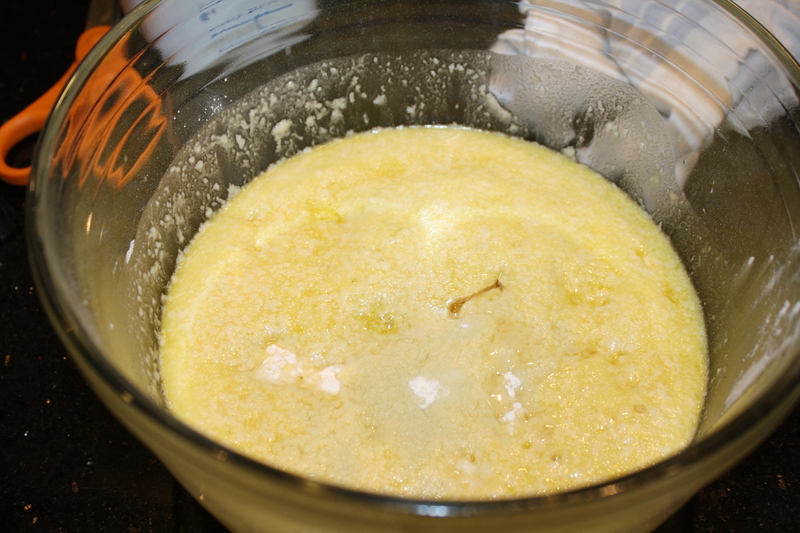 Then I stirred the three ingredients until the wax melted, which took about 15 minutes. The directions say to stir until it’s smooth, but it never really mixed together entirely because of the oily components. I ended up using a wire whisk to break up the bigger clumps. 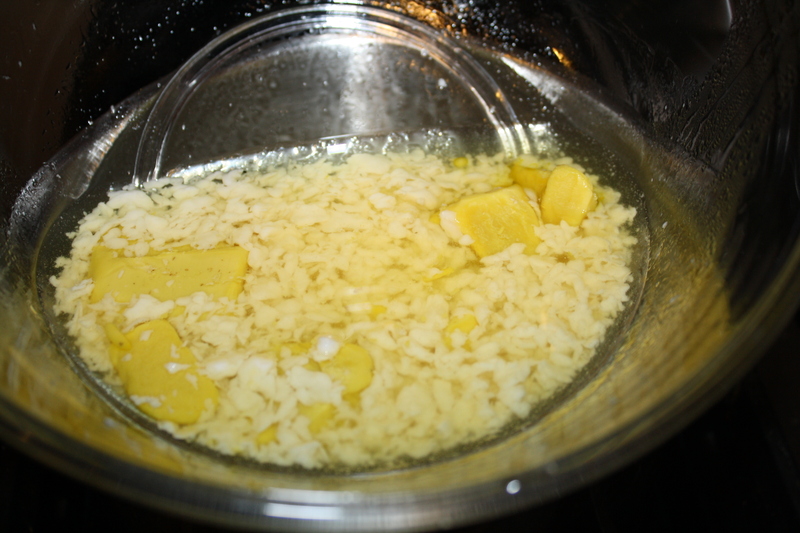 Then I added the arrowroot, vitamin E, and when it had cooled a bit, the probiotics. Also, I wanted to get a little scent in there, so I added some baby powder for a “powder-fresh” scent. The recipe says to mix it by hand, but it was really messy. It was greasy, like waxy butter and hard to wash off. I ended up using a wooden stick that was left over from when we painted our dining room. If you plan to make any of this, I would definitely recommend investing in special bowls and utensils to use just for the purpose of making your products. 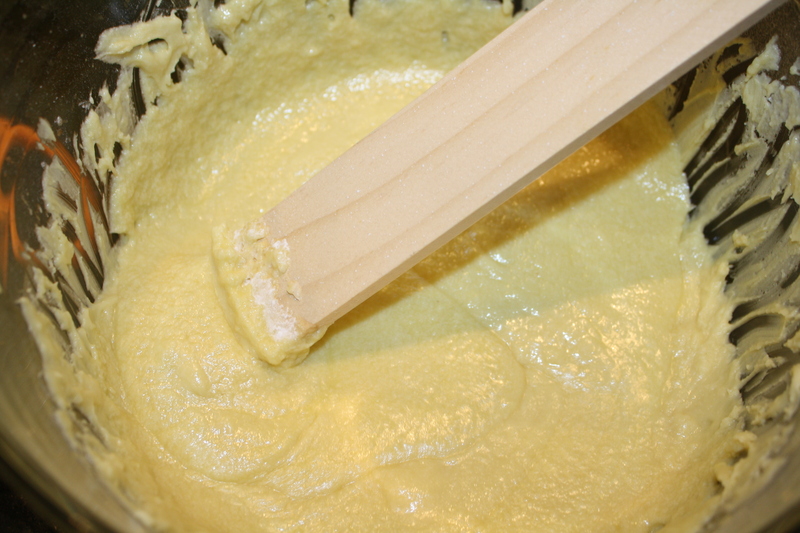 At this point, the kids thought I was making some kind of cake and excitedly asked whether they could lick the spatula when I had finished mixing. This was a tempting proposal, I must say, just for the inevitable looks on their faces. 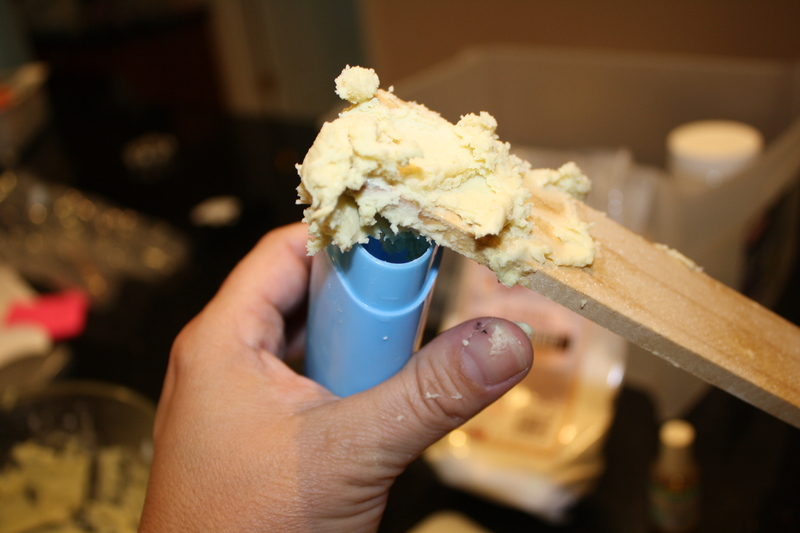 After mixing everything together, I let the concoction sit and congeal for about 20 minutes, and then used the wooden stick to transfer it into the empty deodorant containers. And then I let it dry and harden overnight. The consistency was still pretty creamy, and the deodorant had changed color, becoming darker, like an oatmeal kind of shade. So overall, success. If it hardens a bit more, I will offer it in an upcoming contest here on the site. Stay tuned, and stay cool. 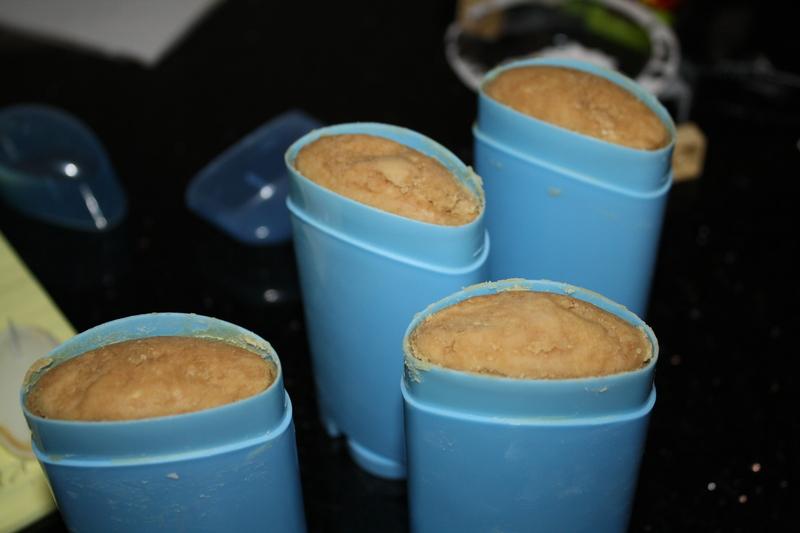 Looks to be a great recipe, however it sounds like you had alot of trouble with the beeswax.I have been looking at making diy deodorant myself and the cheapest place I have found beeswax was at CANDLE SCIENCE .COM. They carry the white pellets used for cosmetic purposes, lip balms ect., that would be much easier to measure out and to melt.They get I believe 7.99 for a 1 pound bag, where as most places get 9.00 to 10.00 and more. This is a natual beeswax I’m talking about. Hope this helps. I’m looking forword to trying your recipe. Have a blessed day!